ATHENS, Ohio — It was the best of times. It was the worst of the times. It just depended on what part of the Buckeye State you were cheering for. 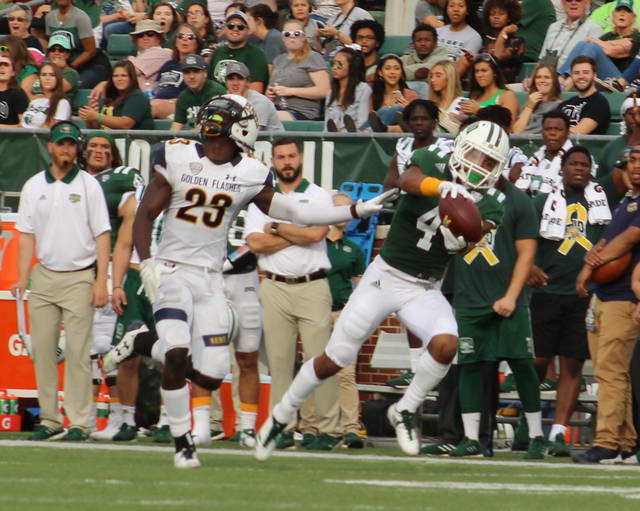 Ohio rallied from an early deficit by scoring 48 unanswered points — including 28 in the third quarter — en route to a 48-3 dismantling of visiting Kent State on Saturday in a Mid-American Conference East Division gridiron matchup at Peden Stadium. 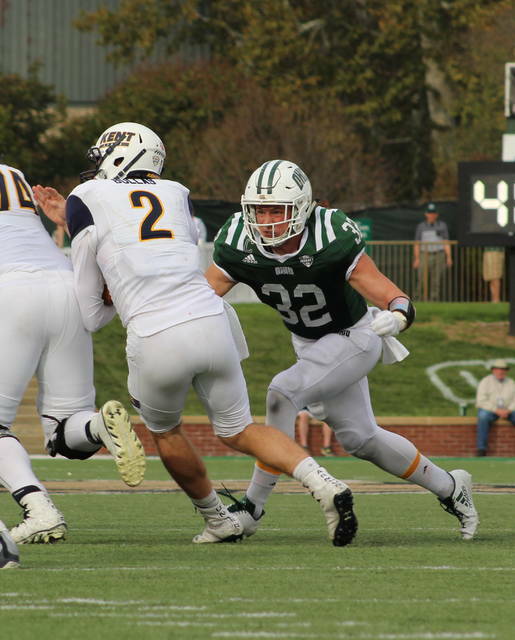 The Bobcats (6-2, 3-1 MAC) trailed 3-0 after one period of play, but the hosts rallied with a vengance as the Green and White produced a season-high 336 rushing yards and four rushing touchdowns from four different players over the final three quarters of action. Nathan Rourke, Dorian Brown, A.J. Ouellette and Dylan Wears each had a TD run against the Golden Flashes, who fell to 2-6 overall and 1-3 in the MAC East. 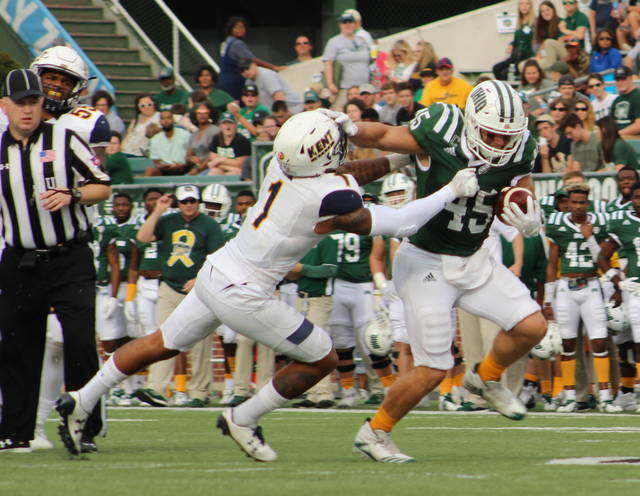 The Bobcats also received two field goals from Louis Zervos from 34 and 43 yards during the first half, the latter of which gave OU a 13-3 cushion at the break. Mason Morgan capped a 28-point third quarter explosion with a pair of TD catches on short passes from Rourke, allowing the hosts to cruise into the fourth with a 41-3 advantage. All four third quarter TDs occurred over a six-minute span. 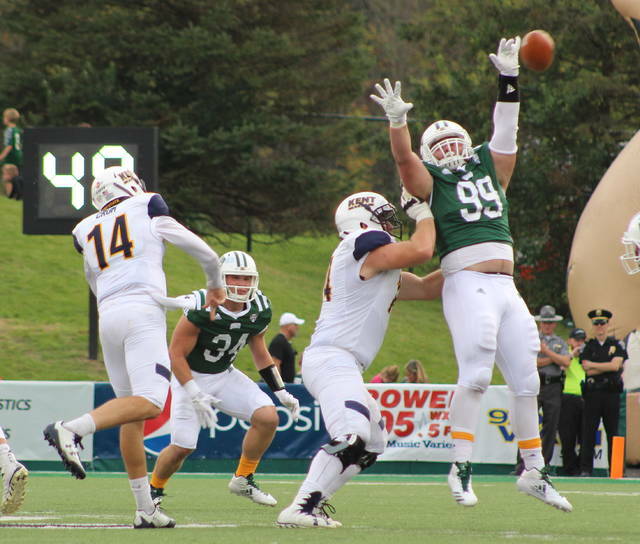 Kent State — which finished the day plus-1 in turnover differential — had seven punts and an interception during its eight offensive drives in the second half. 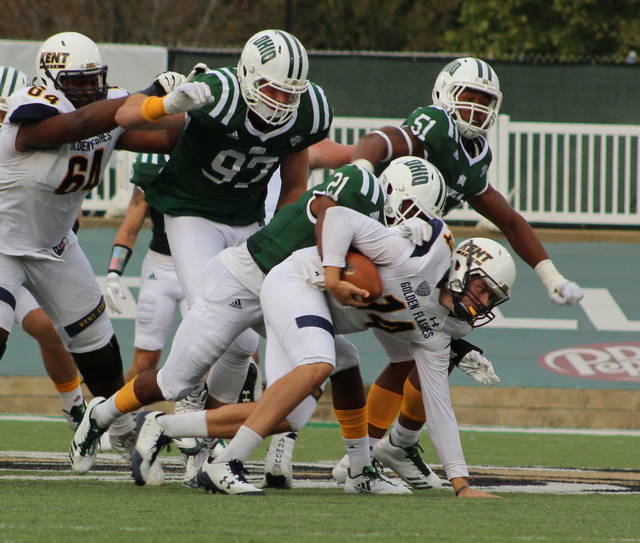 The Bobcats reached the 40-point plateau for the fifth time this season and are 5-0 in those matchups. 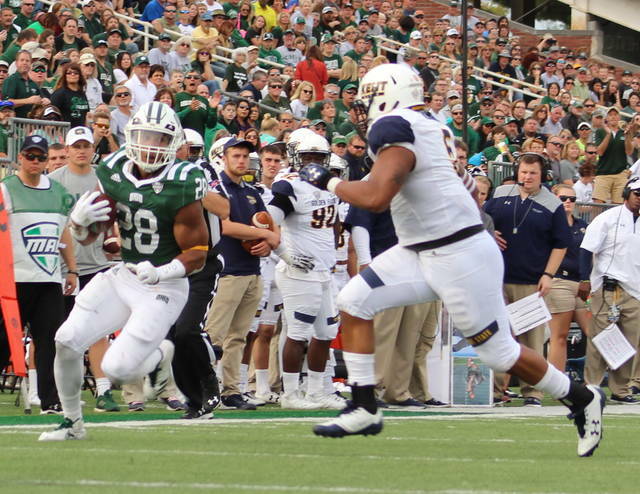 Ohio also claimed a 474-166 margin in total yards of offense. 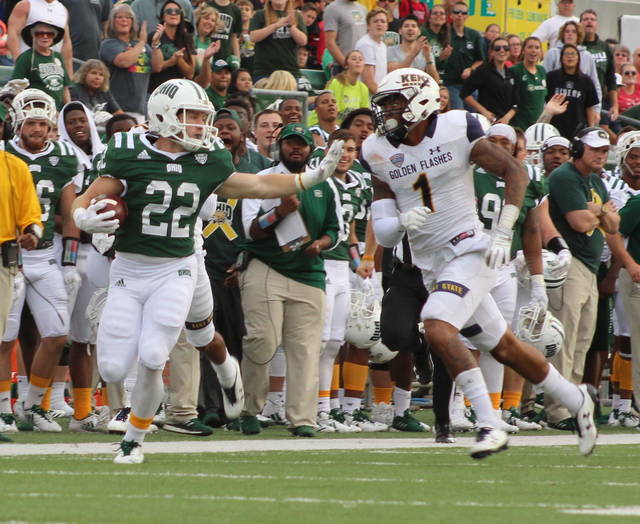 A complete recap of Ohio’s win over Kent State will available in Tuesday’s edition of The Daily Sentinel.